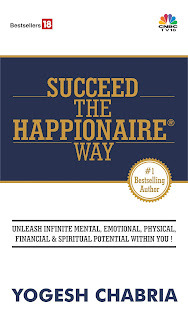 Yogesh Chabria - The Happionaire ​Blog - Best Motivational Speakers In India - Inspiration, Success: Real Estate Prices To Crash 70% Across India - If You Want Them To! Once there was a man, he went and stood in front of a snake. The snake bit him. He got extremely upset and went to his Guru. Understanding the way news works is very important for any investor. You can’t create wealth if you are in a constant state of ignorance. As they say a fool and his money are soon parted. Recently I was reading the headlines on the website of a popular business paper. In the past few weeks, the number of articles talking about increases in real estate prices as well as how now is the best time to buy real estate have gone up. But when you read any of these articles closer, you realize that they are filled with quotes from builders and real estate brokers’ telling how now is the best time to buy and how prices have been going up. It is like asking a barber if you need a haircut or like asking me if you should be a Happionaire. Are property prices actually going up and is there real demand? The main problem with real estate is that is not at all transparent. For the stock markets, gold or commodity prices you can easily look at your laptop and see at what price people are buying and selling. This isn’t the same for property. To find answers to this, don’t follow news reports but simply try to find out the amount of registrations that have been happening for new properties. It is hard, but once you are able to speak to the people in charge of registrations you will find out. Take a walk down ‘hot’ real estate destinations at night and see the number of residential properties that are actually occupied. Take a walk into newly built malls and see the amount of commercial real estate lying empty. Properties that were on the market for sale 6 months ago or even from a year ago even today are available and are unsold. The main reasons you are reading so many reports about rising property prices is because, most developers today are cash strapped and are in desperate need of money. I know of one who has six entire projects lying completely vacant in prime Mumbai areas. When more and more such reports keep coming and when you see a large number of property ads and exhibitions, you need to realize what actually is happening here. Gradually the holding power is coming down, and nobody can keep holding onto overpriced real estate or ever. At some point prices will correct to meet actual demand. This in some areas could mean a price correction of as much as 70%. Builders have been holding property prices till now and the correction hasn’t yet been as much as expected, but that isn’t the same case for end users and investors who are stuck badly. While the stock markets have bounced back to some extent, it hasn’t been the case with real estate. I know of someone who has been unable to sell a property in Bandra since the past five years. When he bought it as an investment, it was brand new and he thought he would make a killing on it. People like him will rarely speak out in the open; because they fear what they say will cause a crash in property prices. But people like him need to realize, that with the internet people are able to communicate freely. In fact, he should share his story so more people like him are not living in fools’ paradise. But why do some outlets in the media not report this? Let me ask you something honestly, would you do such a thing if you ran a paper and a large part of your ad revenues came from real estate developers? I wouldn’t blame anybody, neither the media nor builder or real estate agents, because in this world a person who is ignorant and foolish will always lose. At the end of the day everyone is doing their own duty/karma. If more people realize what the truth is and search for value, automatically real estate prices would be forced to come down. If everyone decides not to buy real estate as long as it is overpriced, what do you think will happen? I know many people today will find this idea strange, but look at what has happened in banking over the years. When there were moneylenders and no transparency interest rates used to be very high – as high as 60-70% a year, today see what happened. Do you agree? Share your views here. Thanks Guruji for saying these soothing words. I was getting scared because of these reports, but now have realized the truth and am also able to see almost all flats lying empty. I am understanding the beauty of living life like a happionaire with knowledge. Your example of snake biting man was very correct. In the recent Outlook Business magazine, there was a column written by head of equity of a big MNC.He has written that he cant afford a flat in suburbs of mumbai as even there builders are pricing it as 1.5crore etc. I am very sure that mafia-developer-politician nexus is at play here too and hence the prices dont come down at all in cities. A good post Yogesh, thank you. When I used to have discussions with my friends I used to say, builders are increasing price because people are ready to buy it and spend their rest of the life paying EMIs. Why we should give our hard earned money to some one else to enjoy it? Think about it. I have heard people saying that if you don't buy now, you'll never be able to buy it. Itz up to each one of us to decide... if we should get into huge debt for a long time? what if something happens to us? U loose the flat if EMIs are not paid (Bank will sell it) or your family is in to debt. Instead live in a rented apartment/ house for 1/2 or 1/3 of your EMI and invest rest in income generating assets. Down the line you could end up having enough money to buy a property in prime location of a city or in your native village and have huge amount left over to be enjoyed by our family. If you look at builders have an association and all of them will keep the rate high and make huge profit. New buyers can also create an association and negotiate with them.. Say we wont buy if you are not ready to sell with in this range/ Sqft. Lets see who will win. But dont think it as his problem or their problem. It is common problem of our society. If we think together, we can find solution. The new Movie of Kamal Haasan "Unnaipol Oruvan" has the same message. Don't buy until it is a reasonable price. We dont have to show off that we are rich by getting in to neck deep debt. b. Public and financial institutions should shun the oncoming IPOs of builders. c. Genuine investors should not fall into the hype that is being created - I do hope this piece is published in National media and read by every Indian so that they muster courage to wait for lower prices in days to come! The way that you go behind the news is what keeps making me come here. I have managed to save Rs. 50 lakhs and can not buy decent apartment in Mumbai. I have decided to continue living on rent and invest my money wisely based on Happionaire values. High prices are also bad for common sellers, because they will never end up selling. Once prices reduce across line you said right, more people will have cash in hand to invest and live better. I have sent this article by e-mail to all my friends and Gopi, even if the mass media doesn't pick it up due to vested reasons our power of people is very strong. I can easily e-mail this to 100 people at one click and those 100 can again each e-mail it to another 100. BTW, I read your article in TOI - it was very good. A year back the same media were talking about how the property prices are falling, what are your views on that? I know of projects in Andheri that have also not sold since past 5 years. In my search fro property in past 5 years, I have noticed that several times same flat is being shown and no sale has happened. Media just spoke that prices fell to fool people even a year ago. No major fall has yet taken place. This is an excellent post Mr. Chabria and a time for the truth has come. Keep spreading the power of Saraswati and Laxmi to one and all! I have learnt a lot of tricks played by real estate brokers and builders on innocent customers, thanks to the information shared here. For instance as you said here and in Cash The Crash, even when no apartment has sold to create sense of panic they just say it is sold within 1 or 2 days of seeing flat. I have decided not to even inquire for property for sometime and am noticing that brokers and builders are getting desperate for making a sale. I understand their concern also, but if they reduce prices more people will buy and they will also benefit in the long run. We are all Indians let us make our nation a super power. Jai Hind. Can you give more details about the property which has been not sold for more then 5 years? Thank you very much for this topic. Finally you considered real estate topic for our discussion and helped many people like me to escape from the lot of confusions about the direction it is moving. Now I will wait more for real estate prices to crash and then will buy a house for me. BB across the line almost all projects are lying empty. It wouldn't be fair for me to point out at just one builder - right from Raheja's project on Link Road to Wadhawa's in Bandra/Khar. ALmost every project is lying vacant. When a buyer goes to see new buildings, almost 75-90% are lying empty across Mumbai. Specially in Suburbs starting from Bandra. Are you saying that builders are holding on for 7 years? How does this work. I brought a flat three years back in Raheja Chembur and today we have formed society. The last flat buliders has sold is at 11k. I dont know where you get your assumption. I have seen all my friends who have brought in last couple of years have formed society and are staying. Please give the forum one specific project and respective details. We will stand to benefit. Can i request you to post your updated views on the assumptions and business models of the educational research reports shared by you earlier. This will help happionaires like me to learn what one should look of while holding a stock and how one should rework his initial assumptions. Desperation creeps in only if there is a dire need for something. If a developer has made 80% of his profit in black money, obviously the holding power will be so much longer. And to actually sell a property at real/fair value would be detrimental to their own interest in the long run. Also India, shamefully, has 31.5 million tax payers and we(Indians) purchased 120,669 cars and 611,173 motor cycles in the month of August this year! Crude ballpark extrapolation tells us that atleast a quarter of us (taxpayers who actually have an income) recycle their vehicles every year !! In short downturn on not, the real economy in India is actually run on 'black' money. Unless this money flow is chocked, there will not really be a dent in the property market. Hence I really doubt if we are going to see a dramatic correction in prices. I hope that happens so that i can then buy an affordable house on my own without any loans some day. On the other hand, I am just worried. One of my closest friend bought a house in 80 Lakhs. Phew that's a good amount of money for someone in IT firm. Though he's able to buy it in cash because he's selling a prime property at peak but again buying at peak doesn't make any clear sense to me. Anyways may god be with him!! I think you're right in terms of actual demand which hasn't picked up and not sure why prices are up. One of my elder friend in business told me that India got tremendous amount of black money that no matter at what price you buy a property, you'll get a better price some day. All you need is a bit of patience. A tip to everyone, while selling just stay calm and show as if you never wanted to sell this property. You'll sure get a great deal in favor of you. The farmer peered down into the well, and was astounded by what he saw. With every shovelful of dirt that hit his back, the donkey was doing some thing amazing. He would shake it off and take a step up on the new layer of dirt. As the farmer's neighbors continued to shovel dirt on top of the animal, he would shake it off and take a step up. I couldn't not tell you how much your story made me smile Ravi. It was very relevant and beautiful. It really touched my heart. Thanks for the appreciation Yogesh. Its a pleasure. I'll share few more like these in your coming posts as they come across. Let's create more Happionaire and bring smile on their faces. It is really nice to see you doing this kind of work for such a noble cause - to create Happionaire!! Can we make this as a mass movement. We have Internet and media to do so. Only if buyers refrain from buying the prices will fall. But there are millions who need to be educated on this - not just the handful who visit Yogesh's Blog. ITS REALLY INTERESTING AND IMPRESSIVE, BUT THE 70% FALL IS REALLY SEEMS VERY HIGH. AS FAR S THE COMPANIES SHOWING GOOD NUMBERS ALL HOUSING FINANCE COMPANIES ARE RUNNING TO THE SKY. SOMETHING IS STILL TO THINK AND REVIVE. Have a look at this article from VROL. well i dunno what to make of all that ive been reading, ive been lookin at flats in andheri w for the last few months.. and a lot of the buildings that are coming up are already fully booked. and the few that arent are askin for 10k plus psf on superbuilt up .. making even a small 2 bhk in buildings with no ameneties whatsoever a crore plus .. similar flats were sellin for 40 lakhs just 2-3 years back..
and even then the builders dont really care, take it or leave it , they have enough customers they say .. , infact the last coupla under construction builings i visited, they told me they are sold out and didnt even bother givin me any details of the property.. i really would like to know what projects are avail in andheri that reputed builders arent being able to sell..
Similarily in Bangalore, Prestige Grp started a project called Prestige South Ridge.It is very far from city but they are still advertising that the starting price is 1.2 crores.There are 264 flats in that project & starting basic price is advertised as 1.2 crores! i wonder how these builders plan projects.Do they have 264 people who pay about 1.5crores to go to some place far away from city? They dont seem to bother at all.Another villa from same grp is advertised as starting from 1.8 crores!!! i am v confused too as real estate prices just dont seem to be coming down at all. I have been queitly following your blog for quite sometime and just wanted to userstand if you still hold on to the views expressed around an year earlier in this post. This is because, at that point of time - I was about to close on a 240 sq yard villa for around 1.08 Crore in Sector 57 (Sushant Lok III - Gurgaon) and yes, seeing the state of infrastucture, rental income and other fundamentals - it seemed overpriced. I therefore did not sign the dotted line. The same property was sold within a month for 1.20 crore and currently similar propoerties are not available for less than 1.65 crore. It seems that there has been almost a 50% hike in just an year and this seems counter intuitive as all said and done, there seems to be buyers out there because I have tried all sources - online, trusted brokers, directly with builder but there is the same rhetoric. If we look at Flats in Nirvana country in Gurgaon, they were available at a BSP of Rs 4000 per square feet last year this time and currently, you cannot get anything for less than 5200. Mind it, the property I am talking about here is Unitech Fresco which has not even offered possession completely. Ditto with unknown builders like JMD (JMD Gardens - Sohna Road) where the prices increased from 3300 to 4200 during the same period. I am saying that to some extent when the media is saying reality recovery has started seems to be true, at least in the short run. Therefore, I think it will benefit all of us if you explain this short run recovery and if you still believe that correction is yet to happen, reasons for them. This is because, properties which I could afford last year (say at 1.08 Crore) are now out of my reach and I am getting a little worried and anxious. Thanks for your blog and views. My idea is not to question you but just to understand what's going on.